The Phase 1 review of Tunisia finds that the legal and regulatory framework applicable in Tunisia generally requires availability, access and exchange of all relevant information in tax matters in accordance with the international standard. However, one deficiency has been identified regarding the application scope of attorney-client privilege, which is not defined under Tunisian law, and could extend beyond what is allowed in the international standard for exchange of information on requests. At present, Tunisia’s network of information exchange mechanisms covers 119 jurisdictions. 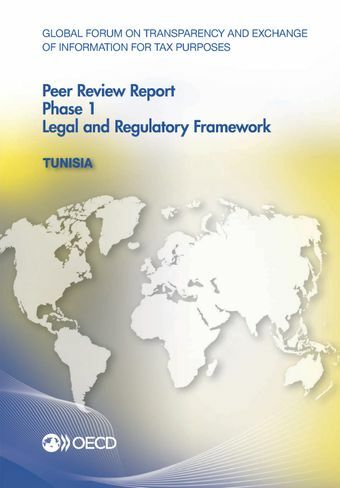 Tunisia’s response to the recommendations in this report, as well as the application of the legal framework to the practices of its competent authority will be considered in detail during the combined evaluation of Tunisia under the terms of reference adopted on 29 October 2015 by the Global Forum. This assessment of the legal and regulatory framework in Tunisia and EOIR in practice (combined review) is scheduled for the first semester of 2018. For further information on the exchange of information practice of Tunisia and to read the full report click here.